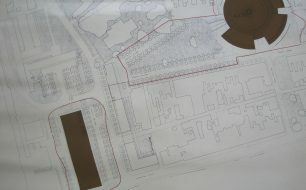 Wolverton Agora Layout of proposed Circular Building from Market Square to Glynn Road, Wolverton. Also shows separate Retail Unit to east. Scale 1:500. Dimensions: 78cm x 78cm. 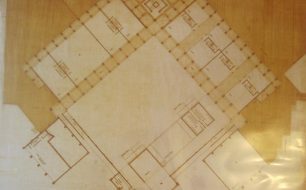 Wolverton Agora Lower Ground Floor Plan drawing on brown film. Scale 1:200. Dimsensions: 96cm x 94cm. 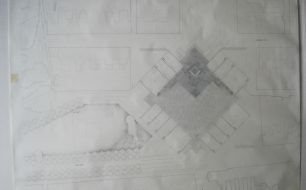 Wolverton Agora Lower Level plan, ink drawing on tracing paper. Scale 1:200. Dimensions: 101cm x 104cm. 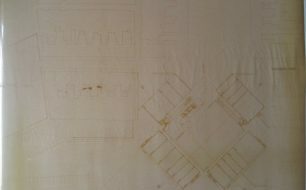 Plan on brown film. Scale 1:200. Dimensions: 99cm x 99cm. 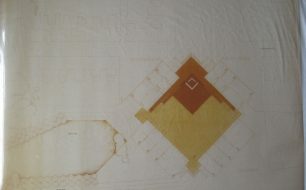 Wolverton Agora Lower Level Plan on brown film. Scale 1:100. Size 102cm x 102cm. Wolverton Agora Coloured Drawing of Market Square level. Scale 1:200. Dimensions: 74cm x 84cm. 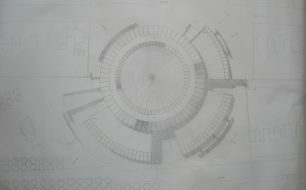 Plan of Market Square level of Wolverton Agora. Scale 1:100. Dimensions 84cm x 105cm. 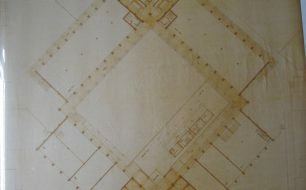 Wolverton Agora Middle Floor Plan on brown film. Scale 1:100. Size 102cm x 102cm. 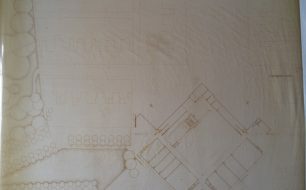 Wolverton Agora Scheme 1a drawing on brown film. Dimensions: 102cm x 60cm. 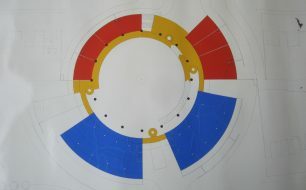 Plan of Wolverton Agora Roofs. Scale 1:100. Dimensions 84cm x 105cm. 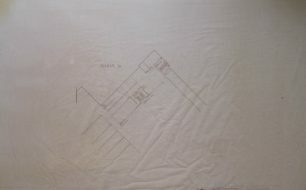 Wolverton Agora S1 First Floor Plan drawing on brown film. Scale 1:200. 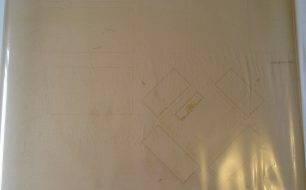 Size 97cm x 97cm. 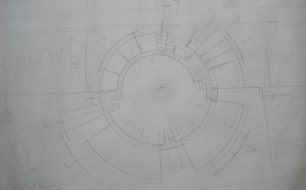 Wolverton Agora Plan for S1 Ground Floor & Mezzanine drawing on brown film. Scale 1:200. Dimensions: 98cm x 106cm.